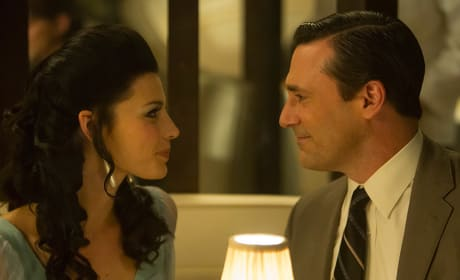 Don stares into the eyes of Megan in this photo from the Mad Men Season 7 premiere. 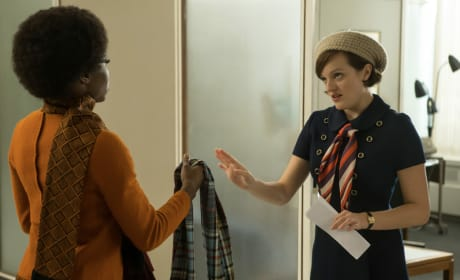 It's 1969 for Don Draper. 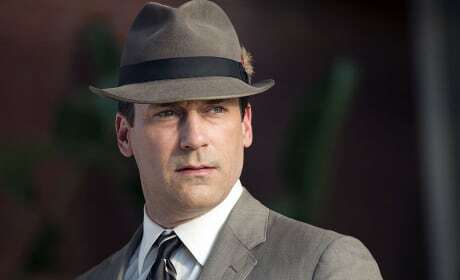 This is a photo from the Season 7 premiere of Mad Men. 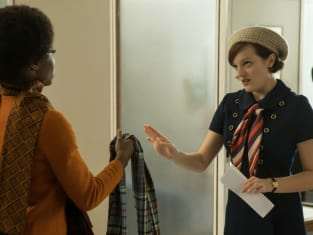 Peggy hears some new work that impresses her on the season 7 premiere of Mad Men. Ken: How many accounts do I have? Joan: Well, it's all of them. Ken: It feels like more. Permalink: It feels like more. You really put the free in freelancer, don't you? Permalink: You really put the free in freelancer, don't you?